It is imperative that as an owner of a business still utilizing hard-copy files, you also have a company policy for safely destroying your sensitive business documents. A shred-all policy is an easy program to integrate and enforce—as soon as a file reaches its expiry date, it’s shredded and no longer a potential security liability. 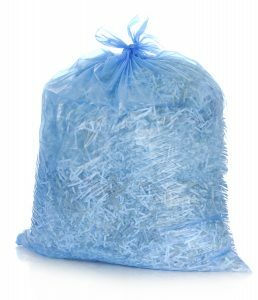 By introducing a shred-all policy for company records that are no longer needed, businesses can stay one step ahead of the threat of security liability, as the destruction of confidential paperwork on a regular basis ensures that your critical records are gone before they have the chance to get into the wrong hands. Although not a malicious threat to your business, unknowing or unfamiliar employees are also a risk to be kept in mind. 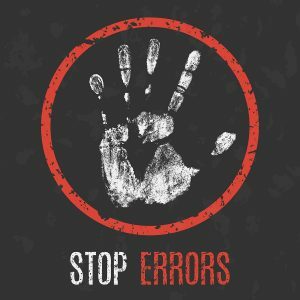 According to a study done on the state of information security in business today, it was discovered that the cause of more than 30% of data breaches that have occurred in the past several years can be attributed to simple human error. Whether the same employees greet you day-in and day-out at a small, family-owned business, or you are the head of a bustling and quickly expanding company that is looking to fill new positions daily, keeping things simple in terms of your document storage and destruction policies can benefit both you and your employees. Not only will you and your workers be able to forget about the worry of a long-kept file leading to a massive data breach, a shred-all policy can help to boost efficiency by making your business a more organized and streamlined workplace. 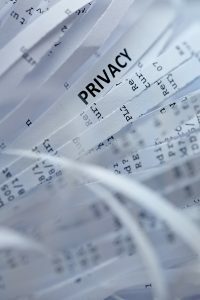 While there are plenty of advantages to adopting a shred-all policy for your company, another reason to stress the security of your hard-copy company files stems purely from the fact that information privacy is simply the law. Both a company’s employees and customers are entitled to having their information protected from misuse, and to help ensure these rights are upheld, there are shredding laws and other federal or state data legislation with strict document destruction requirements. When it comes to business primarily working with legal and financial documents that require hard-copy formats, old records and files can quickly begin to take up vital office space. With nearly 20 square feet occupied by a single file cabinet, and alternative options like offsite storage still consuming resources to rent space, a simpler and less expensive alternative is a shred-all policy for your unneeded documents. 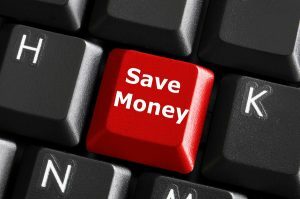 By working to minimize the amount of paper documents your company has stored at any given time, business owners can minimize any document management costs they may have previously budgeted with the implementation of a shred-all policy for their business. Get Free, No-Hassle Quotes On a Shred-All Policy Today! Shred Nations specializes in helping you find the shredding contractor that can regularly and reliably shred all the information your business no longer needs. No matter whether you are searching for a quote on mobile shredding services, or needing to set up offsite shredding for your business, please fill out the form to the right, or give us a call at (800) 747-3365! Within minutes of receiving your request, you will receive quotes from shredding contractors in your area in order to help you select the company that best fits your project or office. Data breaches cost companies millions of dollars worldwide every year. This section can help you to understand more about reducing the risk of a data breach, ways hackers and identity thieves find your business information, and tips on how to ensure your business takes the proper measures if a data breach happens.